Household pests such as ants, spiders, roaches, snails, fleas, crickets and earwigs are not only a nuisance, but can bring harmful bacteria and diseases into your home. Professional Pest Management understands the importance of a pest free home and has created a year round program offering the most comprehensive service and the best guarantee to keep your home under control. Our service specialists will inspect your home and property to seek out pest infestations and eliminate them at the source. Our service specialists will take the time to explain each application as well as work with you to make sure we create a program that will work for you and your family, and give you PEACE OF MIND. When you call us, you can count of a professional licensed service specialist and only the best service each and every time. We will schedule a time that is convenient for you to be home so we can treat both the interior of the home as well as the exterior. We will inspect your property thoroughly, and take time to create a program tailor made for your home. 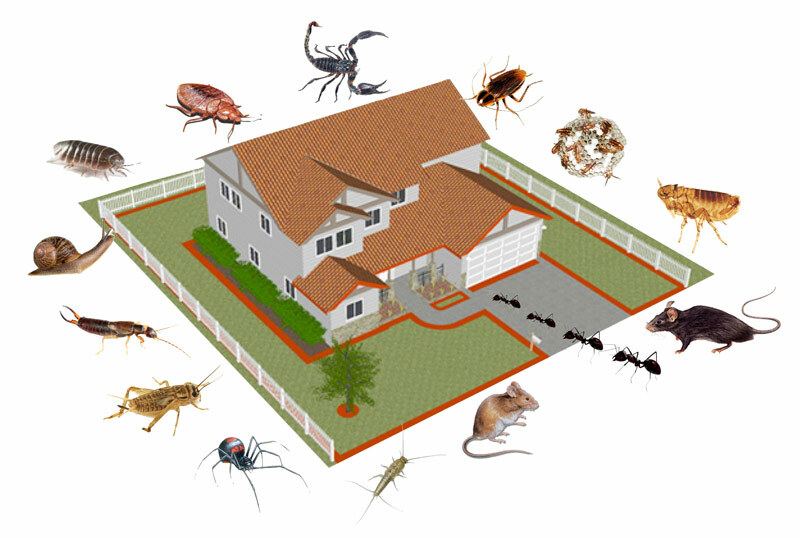 Maintaining regular pest control service to your home will insure that your home will remain pest free year round. If at any time in between services you have a problem, please do not hesitate to call our office to schedule a FREE re-service.